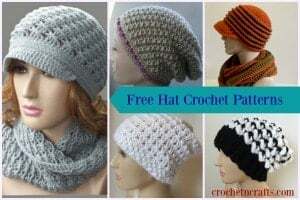 Free Crochet Hat Pattern Adjustable in All Sizes. As with most of my hat patterns, this one can be adjusted to any size that you like. It features the front post post stitch, including the front post popcorn, to give you lots of textures to keep you warm in the cool fall weather. 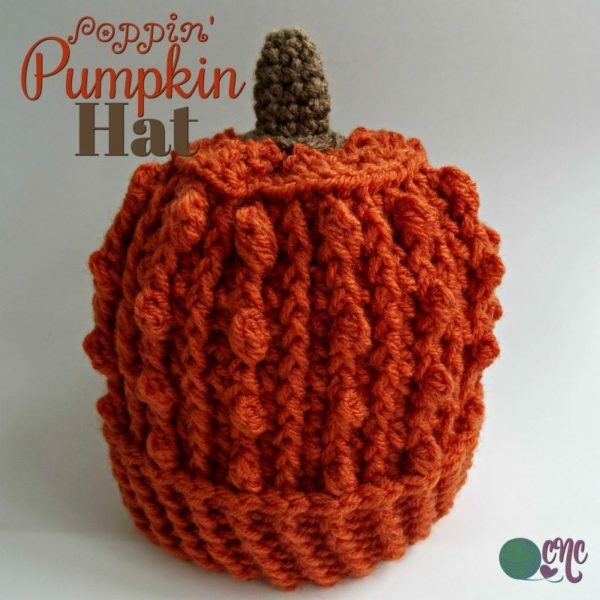 And in orange it can be a fall pumpkin, but why not choose any color that you like for an any-season hat. The stem can easily be omitted and replaced with a pom pom, making it easy to crochet for anyone. Another beauty of this pattern is that you can basically use any hook and yarn size that you have on hand. It’s an easy multiple of 4, and rounds can be repeated as many times as needed to obtain the desired height. Yarn: Red Heart Super Saver (Worsted Weight (#4) 100% acrylic, 7 oz/198g – 364 yds/333m) – Carrot and small amount of Brown. Gauge: Approximately 2.5″ over 8 sts. Finished Size: 16″ circumference by 7″ long. However, it can be crocheted to any size as desired. Front Post Popcorn (fppc): Work 3 fphdc around post of stitch indicated. Drop loop from hook and insert hook into first of the 3 fphdc made. Pick up the dropped loop and pull through. With I hook and Carrot yarn, Ch 52, or any multiple of 4 to get the desired circumference. Join with a sl st in first ch being careful not to twist. FO leaving a 10″ tail. Weave tail end in through last Rnd and pull tight. Weave end in to secure. FO leaving a 10″ tail for sewing stem onto top of hat. I sewed my stitches along the sc and ch-1’s made in last Rnd. Optional: Stuff the stem with a bit of stuffing. More patterns to come in the Poppin’ Popcorn series, so stay tuned. And don’t forget to check out the hat pattern collection happening at CPB. Super cute little hat! Love the fun alternating pattern of the ribbing and the bobbles. Creates such a fun texture, and look.